With mental health increasingly in the spotlight, this book offers a new perspective on anxiety. The focus of this book is on the application of psychological alchemical practice to address, explore, and examine the nature and cause of anxiety in order to tackle and overcome it. Scientific, artistic, and spiritual understanding, together with practical application, has the capacity to eliminate anxiety and gain personal control, liberation, and fulfilment. The book is designed as a personal development book rather than a scholarly work and, although it is relevant to all ages, it was written with 18 to 30 year olds being the main inspiration. It is a source book that can be dipped into anywhere or launch further investigation into any of the various disciplines and practices covered. Clare Hogan teaches at the University of Salford. 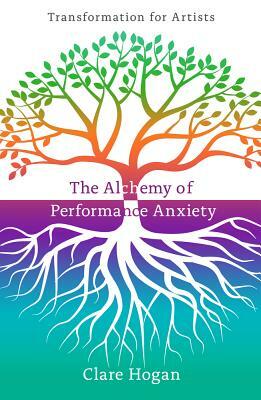 Her subject is primarily the Psychology of Performance. She also counsels students with anxiety issues and teaches individual vocal technique.